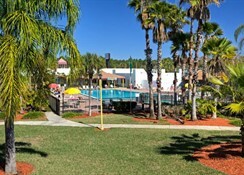 Located in Kissimmee to the south of Orlando and next to the Old Town Amusement Park, Seralago Hotel and Suites has a range of on-site amenities as well as close access to the main attractions in the area. 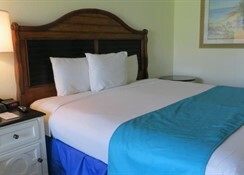 The rooms can sleep between 2 and 8 people and all come with Wi-Fi, dining area and flat screen TV. This is a family friendly hotel and pets are welcome too. There is a shuttle to Walt Disney World as well as Universal Studios and SeaWorld. 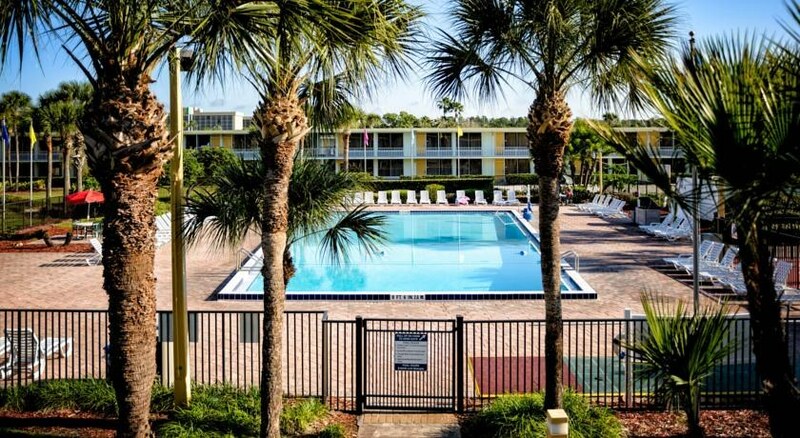 The Seralago Hotel and Suites provides everything you need to make your stay in Florida a memorable one and allows you to visit the main theme parks and sights in Orlando with ease. Based in Kissimmee beside the Old Town Amusement Park, Seralago Hotel and Suites offers a shuttle service to some of the main attractions. Walt Disney World (7.2 miles), SeaWorld (6.1 miles) and Universal Studios (10 miles) all have a scheduled shuttle service from the hotel that is included in the resort fee. The Orlando International Airport is 14 miles away and golfers will love this property as Falcon’s Fire Golf Course is close by. 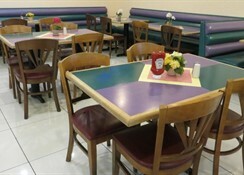 There are five different room types available at the Seralago Hotel and Suites. 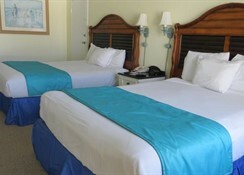 Double Rooms are split into two categories with a parking lot view and poolside view and can sleep up to four people. King Rooms feature an extra-large double bed and sofa bed while the kid suites have one single bed, one extra-large double bed and one bunk bed and can sleep two adults and 3 children. Finally, there is an option for a two-room suite that can sleep up to eight people. 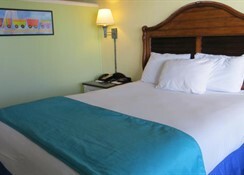 All rooms come with free Wi-Fi, fridge, flat screen TV and dining area. 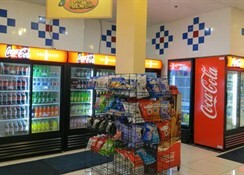 Seralago Hotel and Suites has four eating and drinking options. The Vineyard Café is open for breakfast between 7am – 11am, The People’s Choice Food Court offers fast food and snacks all day while there is a poolside bar and Court Street bar which shows a variety of sports. There are also many eating and drinking options at the nearby Old Town Amusement Park. There are two large swimming pools at the resort including a kids’ pool as well as a fitness center. Other sports facilities include tennis courts and sand volleyball court. Guests can avail of the in-hotel theatre and there is an arcade room on-site. Shoppers will be able to use a shuttle service to the Lake Buena Vista Outlet Mall and golfers can play on the nearby Falcon’s Fire golf course.